“I have an 18 mo old colt and hope he’ll make a great kid pony in a few years. He’s currently 12.2 hh and 500lbs, so I don’t expect him to get very big. What can I do with him on the ground over the next few years to get him ready to ride? 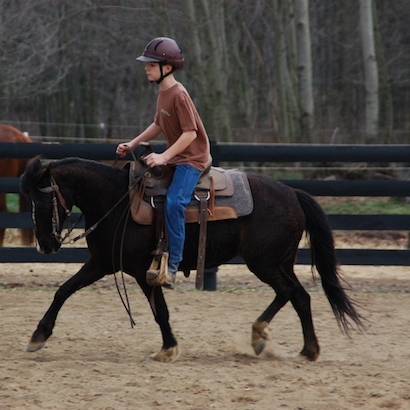 When the time comes to saddle and ride him, how do I go about that, with him being so small?”-Ariella G.
My son Joshua, this pony was also trained to drive. Great kids ponies can be worth their weight in gold…but not quite as easy to find. The challenge comes in training such a small steed. I like that you are already thinking about groundwork because so much can be accomplished there. My first recommendation would be to do all the ‘standard’ groundwork that you saw me do in the Jac series plus any extra that occurs to you. Keep in mind that your goal is to have this pony trained for kids…so try to think like a kid. Kids do things that adults just don’t think of, like climbing the front of the stalls or riding a bike down the isle way. Your challenge is to think like a kid but correct like an adult. This means that you might think of something crazy a kid might do, but then break the training process down into steps. Another thing I would highly recommend is training the pony to drive. Many great lessons happen during the cart training process that can directly carry over to riding. If you watch the Jac series you will see that I normally ground drive my colts. Breaking your colt to drive will have the same benefits, only better. One of the biggest drawbacks to ground driving is all the running around the handler has to do. Once your colt is trained to drive you will be more likely to continue the ‘driving’ lessons because riding in the cart is more fun than running behind him. A well trained driving horse, or pony, is soft and responsive to the bridle reins and the advantage for you is that it doesn’t require putting any weight on his back. Groundwork, ground driving, ponying, and teaching him to pull a cart are all great things for creating a well trained pony without even mounting up. All of this preparation will make the transition to riding easier when he is grown and ready. The last challenge will be finding a small but experienced rider. Just because I say small doesn’t mean this needs to be a young person. I have met many ladies that were small enough to ride the pony you are describing. It takes years of training to create a nice horse and it should take the same to create a great pony. The advantage of training your own will be that you will know him very well and will be able to prevent many of the problems that are common in ponies. What a lovely pic Josh and his pony make. There’s a lot of communication & understanding there. I think you’re spot on with the driving advice Stacy! I’ve trained numerous ponies (non-pro) and once I learned to drive them as well it made a world of difference. I kept my young daughter’s Shetland “in tune” by driving her. 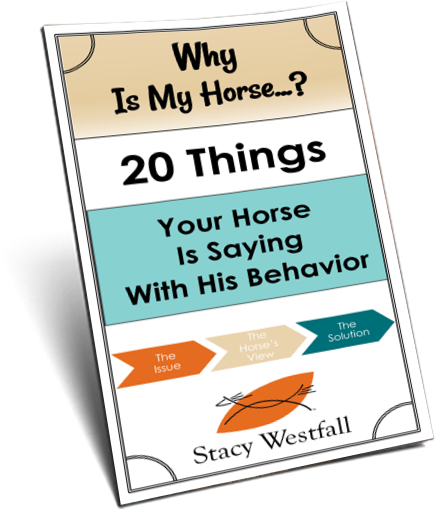 This made the pony listen better and give a more consistent response to the bit because of the pony’s work under harness. I spent several years breeding, riding, driving Wesh ponies after that first Shetland and have a driving pony now that I raised from a baby. She’s 11years old. I showed her a little this year in ridden and in hand classes. I was AMAZED how fit she became with the driving (walking in hilly terrain and trotting some) and minimal lunging to help improve the headset and add some cardio work. This pony is 12.2H, I’m 5′ 3″ tall. I share her with the grand kid too. It makes for a happy, healthy pony and she enjoys the job. I wish MORE people realized the fun of driving and how one easy to keep, economic small pony can provide enjoyment for an entire family! For those who are new to driving and having difficulty finding a good resource to learn, I highly recommend the yahoo list “recreational equine driving”. There are members from all over the world that will share knowledge. Because of that list, my ponies now drive in a full collar and hames instead of a breast collar and I’m careful to make sure the are in “balanced draft” It’s my job to make their job safe; to set them up in the best possible manner to avoid injury, soreness or sourness. Driving can be daunting to the new comer as there are many components to harness and vehicle but I promise the work is worth the reward! when our kids were young we started out with our stallion, then 2 mares, which still didn’t work well, for 4 people to go trail riding.so we bred the 2 mares, and we gave the resulting foals to our kids to raise. we did the usual halter training, ponying with the mares, etc. when her colt was about 1 1/2 yrs. , our daughter wanted to do more with him, so started harness training him. she ground drove him a lot, then started pulling a toboggan in the winter by hand behind him to get him used to the movement , then gradually hooked it up to him, then progressed to sitting in it and driving him, out of kicking range of course, training, him all the driving principles, with basically no pressure on his developing bones, etc. in better weather she progressed to a little red kid’s wagon, which rattled , and clanked, etc. she started same way of dragging it behind him 1st by hand so she could instantly drop it if he got worried, and once he got used to it, she would hook him up to it, then gradually put in weight, then drove herself in it. by the time she progressed to a training cart, it was simple steps to hook him up. she was waiting until he was 2 1/2 yrs. to start riding him, but by then he was already used to a lot of different experiences, and was very settled to working with her. his only problem between 1 and 2 yrs. 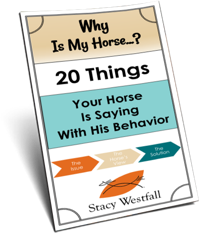 was he was so used to her working with him daily, that when she went trailriding on a borrowed horse , and left him behind, he would go to the back of his stall, and pout in the corner, because it wasn’t him! he turned out to be a great horse for harness and riding. My young App, – born literally into my hand, isthe same age as Jac. i have been following Stacys blog,, and for a while was disappointed how much she had accomplished with Jac, which Tonweya does not do.. but then i realized, we do many other things, that maybe Jac has not done.. I have had Tonweya in my care since second one.. and form the first second i started training him.. as a very young foal i took him with us, when i went riding , so he got used to all kinds of strange things, like garbage cans or garbage trucks, people pushing baby carts, , people, dogs, bicycles and so on.. the carriage with the two large friesians is also no problem.. then i put a planket on him , a hose around him, lounging him when standing on some picnic tables in the country side,, getting him used to a dog to lean on his shoulder ( for me later to put the leash on the dog when riding him.). Using a large ball in the pasture to play with him,, a large flag to drape over and underneath him, and even blindfold him while ponying him.. Practically anything strange i think of i try with him from the ground and now while i ride him.. So my advice to anybody training any kind of horse is, to teach them good ground manners and MANY strange things,, like pushing bobby cars underneath them.. ANYTHING that teaches them : strange things are NOT dangerous.. like sitting behind the saddle , put a dog on their back….. Some horses we get from england are afraid of the sound of a zipper being undone, or when you reach out a hand to the side , or lift the hand up ( we figure they got some beatings before we got them,) so those have to learn that WE do not whip them if our hand goes out..
My first horse was a 14 HH buckskin mare that my parents purchased for $300 including the saddle. The certainly got their money’s worth in child care. Everyday, after school I would ride whether it was English, western, trail riding, galloping full steam along side the corn field. There was nothing I wouldn’t try on her and she would always try her best to understand whatever crazy idea I came up with next (dallying the rope around the horn and pulling the out of gas riding lawnmower back to the garage, riding double and the back rider grabs a low hanging branch of a maple tree and try to hand on until they come back to pick you back up) . She was very successful as a jumper mostly showing against full size horses, great trail horse because she was bomb proof. As you can tell this little mare meant the world to me. She taught me how to care for an animal and be responsible. I was involved with wonderful people in the horse world while I was growing up. It carried forward to a lifetime of love for horses which has provided me and my family many extraordinary times together, from showing horses to realizing a dream or breeding our own mare and raising and training the baby. This all started from one small but mighty little mare named Cinnamon. She was worth her weight in gold, virtually a person’s dream for a first horse. Our family had two of the best ponies around. The first on was Salty we bought him for a hundred dollars at a yard sale he was 21, a blue-eyed cremolla about nine hands tall. He was an ex-carnival pony and full of energy. He was not much to look at, blind in one eye but he was great. He had rules about how far away from home he would go with a child, depending on how old the child was with out an adult on another horse. He was as dependable as they come. Salty loved Gymkhana and would enthusiastically pull a cart. People would stop us riding down the road and try to buy him from us. Many of the neighbor hood children learned to ride on him including a boy with Cerebral Palsy and several children with autism. When he was 32, all of my children had out grown Salty and one of my riding buddies bought him for her six year old son Ricky. When he out grew him he would follow Ricky on his Arab on trail rides with out a lead line until he went completely blind. He past away at 42 a much beloved pony who left a legacy of good rides.